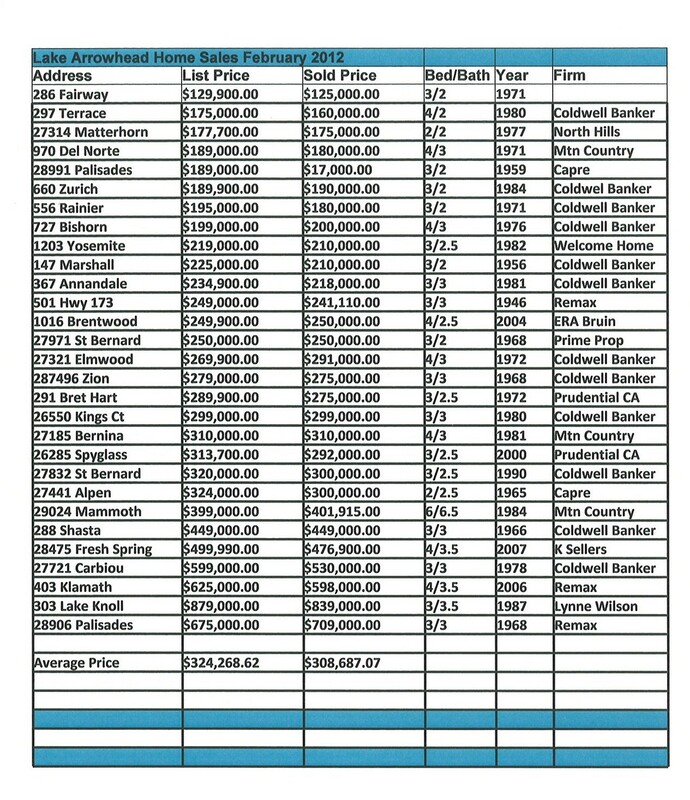 Lake Arrowhead Home Sales for February 2012 ~ You would think that a short month would mean less homes selling, but the opposite was true. We had 29 homes sell in Lake Arrowhead in the month of February and one was a Lakefront home in Lake Arrowhead. 30 Homes were listed in Lake Arrowhead in the month of February and there were a total of 262 homes on the market in Lake Arrowhead. All information was obtained from the Rim AOR, all information is deemed reliable but not guaranteed. If you would like more information on these or other homes please give me a call.